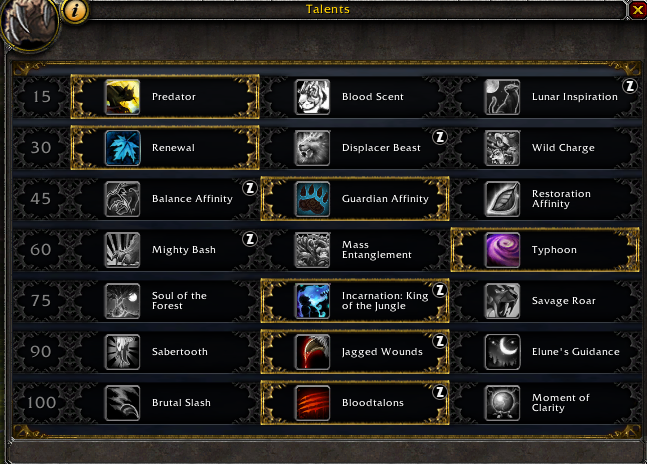 My go-to feral profile for all of my druidic farming. Honestly haven't downloaded someone elses fight class since MoP. Decided to give this one a go because I haven't had the time to make a Legion fight class yet. Really gonna say this fight class is perfect! Has all the right moves and mechanics to keep you alive. I went from 105-110 in a couple of days without dying at all thanks to this fight class. If you spec Moonfire insert it just above rake using the fight class editor. Resim dosyalarınızı lütfen yenilemek mi istiyorsunuz?